Side wall is very weak. I had a bulge on a tire in 3 months or so. These tires came with xsp package with 20 inch BBS wheels. The tire is rated at 55,000 miles and I currently have 54,000. Tires ride great, handle well, and have never failed. The tires do seem to wear much quicker on the right side of my truck. I would spend the extra money but my big gripe is Michelin does not manufacture these tires in 305 50 20 very often and they are not available and they are not even on Michelins production schedule. Snow traction has yet to be tested. Very quiet and solid performing tires. 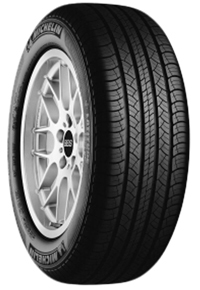 The best tires for my Acura MDX 2013. Lasted 41k miles. I have had a good experience with them and got almost 40,000 miles before the need to replace. I have not been in the snow with these, which is why I did not give it a 5, but I am sure they will be great seeing the tread and the reputation of Michelin. For comfort, ride and performance and control I would choose nothing but a Michelin. I have seen many other less expensive tires but I have found you get what you pay for and with Michelin you definitely get what you pay for. Second set of these tires. I would definitely buy them again. Great tires and great service. Great tires. Bought these to replace the OEM MXV4 Energy tires. Much better tire, especially in the snow. When I bought my 2004 Chrysler Pacifica it had another brand of new tires on it. I thought we could get through the snow the first winter we had the vehicle in 2010. The first snow of 2010, the vehicle slid through intersections and just did not get through the snow. So we dealt with these tires until December of this year when I put on the new Michelin Latitude Tire HP. I did not like the price but I was told that would be the best to get around in the snow. I was very hesitant but the tires proved themselves when I drove the vehicle from Decorah, IA back home to Dyersville, IA in the middle of a snow storm the evening of December 24, 2013 with my family. I like it, runs smooth and no noise. So far I've been very happy with the tires. Will have them for the first winter and hope they will work great. The Michelin Latitude Tour HP tires are a great tire for my SUV. I drive 75 miles a day and mostly highway. Let me say, the ride on these tires is smooth and very quiet. The New England winters can be a challenge. The Michelin's and were the right decision for me. Tires made a big impact on the ride right away. The smoothest ride for an SUV. Always felt safe and in control. Big complaint is the wear. Got slightly over half life of tires. I did have my tires rotated but not every 6-8,000 miles. Would that extend the life to at least warranty expectations?